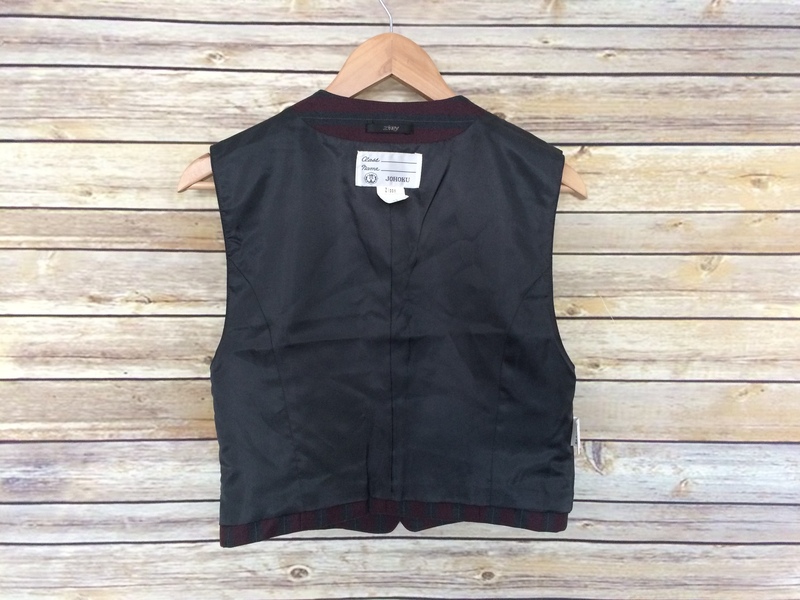 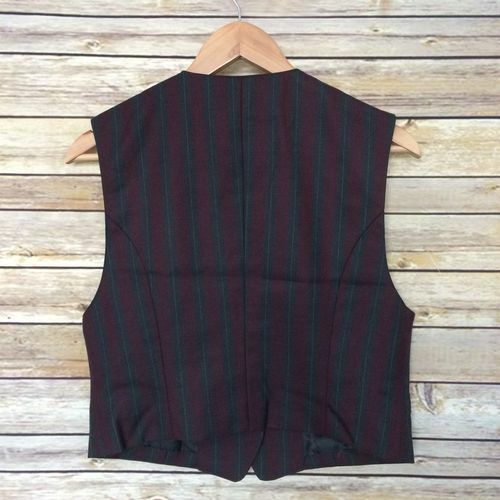 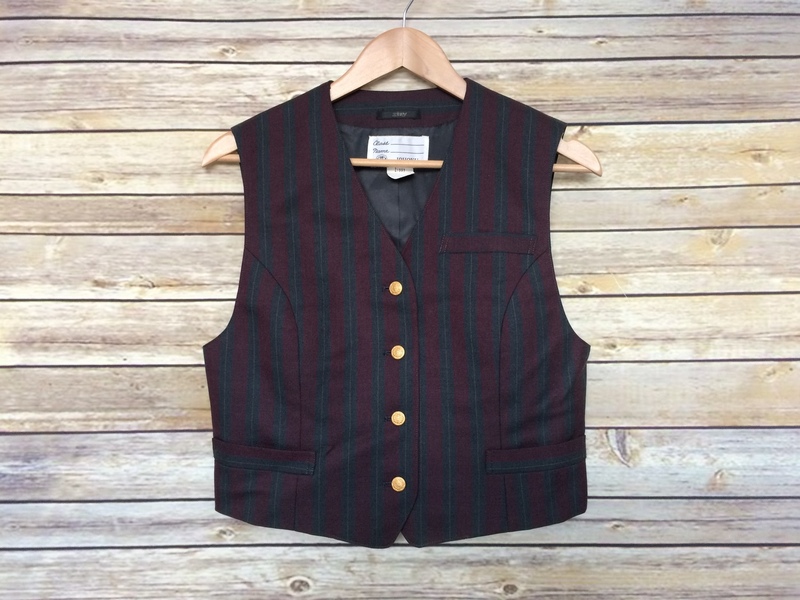 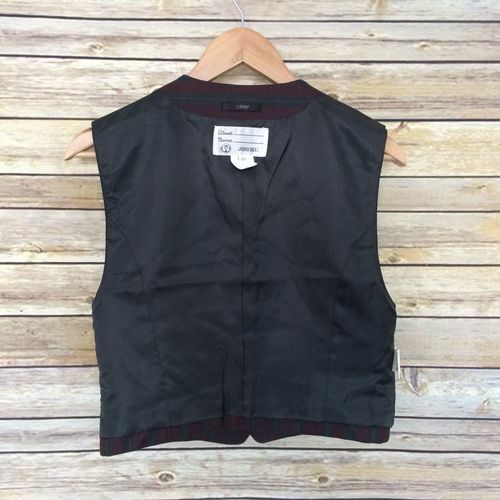 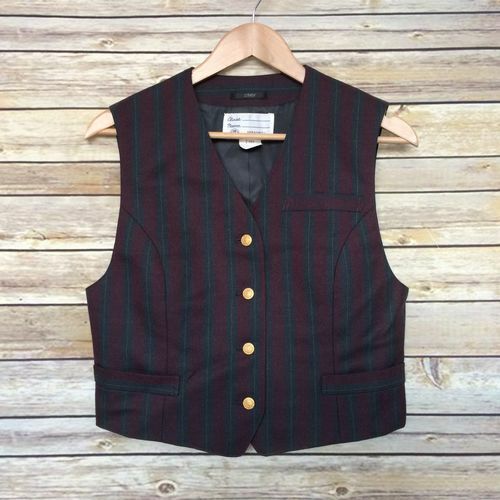 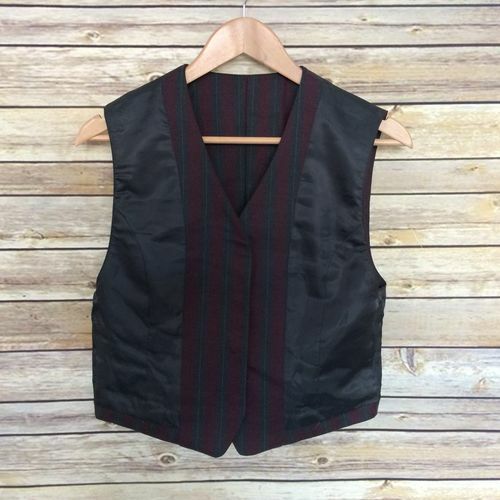 Authentic Japanese school girl uniform spring/autumn/winter grey & wine red sleeveless gilet. 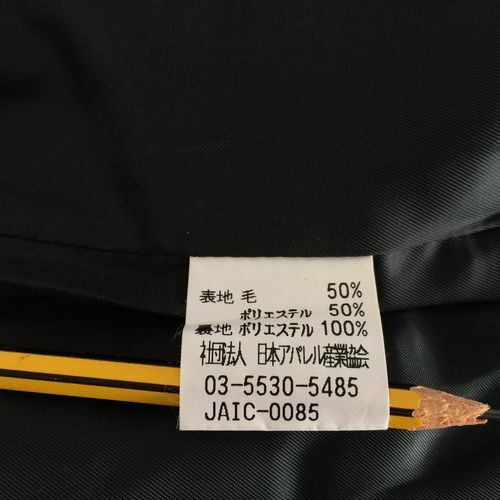 Please note: this is not a complete uniform, just the gilet which is an authentic one made in Japan and used by Japanese school girls, not a cheap reproduction. 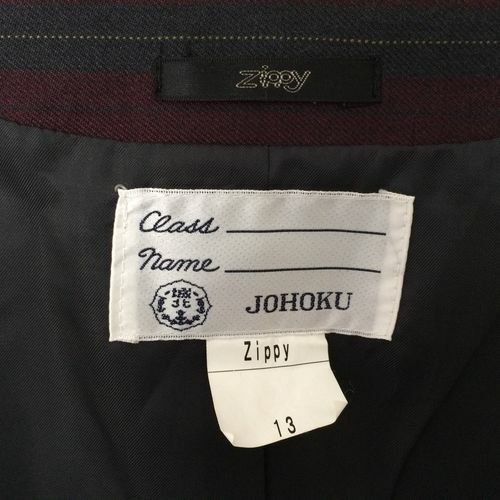 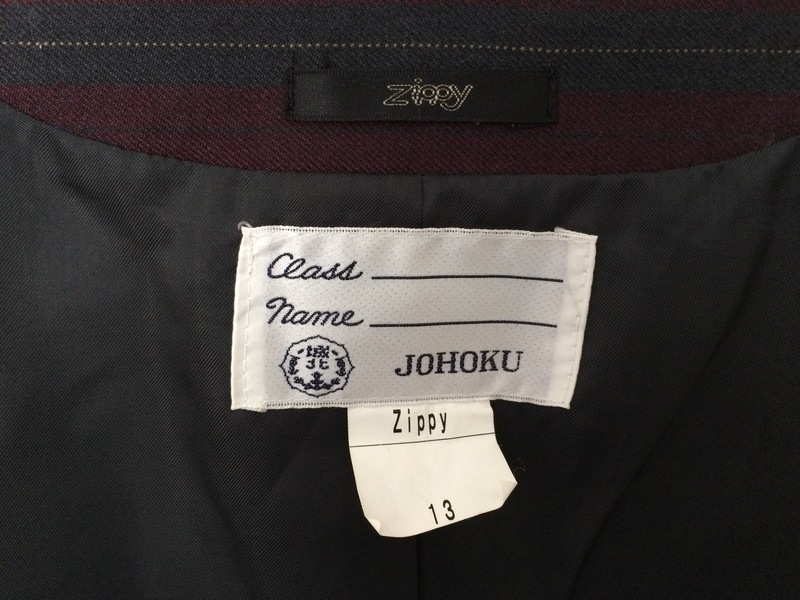 We have many items of Japanese school clothing: jackets, skirts, tops, shoes, trousers, etc. 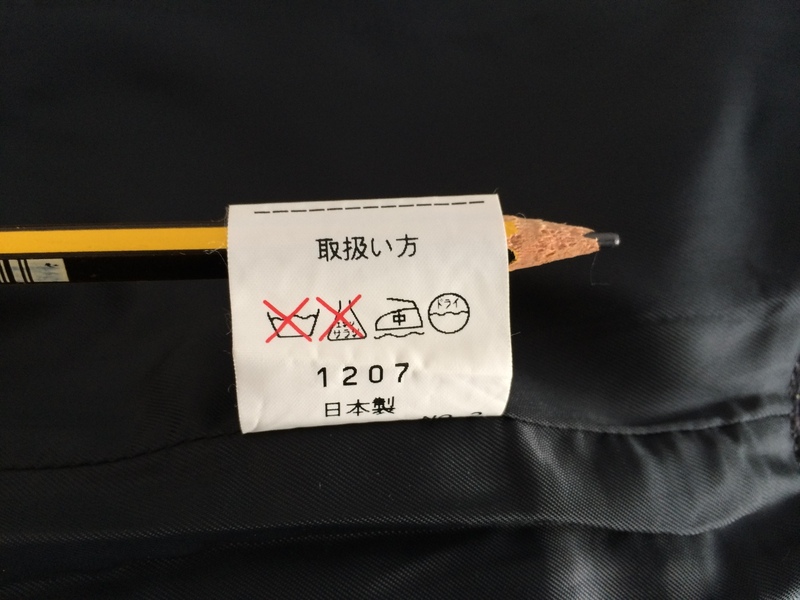 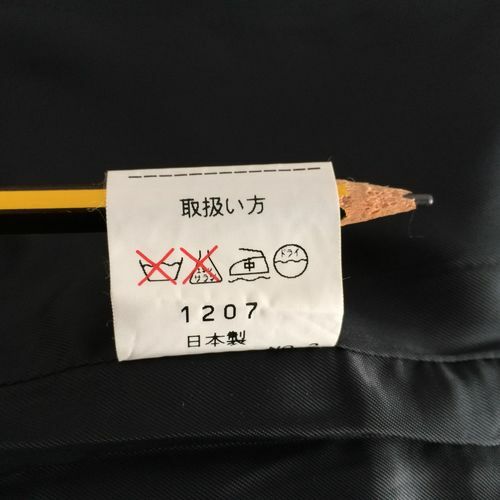 Made in and imported from Japan. 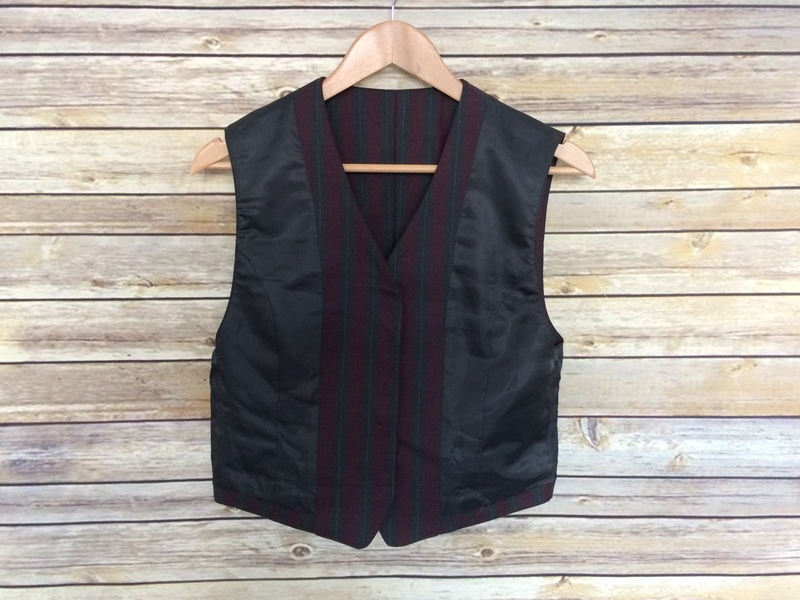 Used but in an exceptionally good condition. 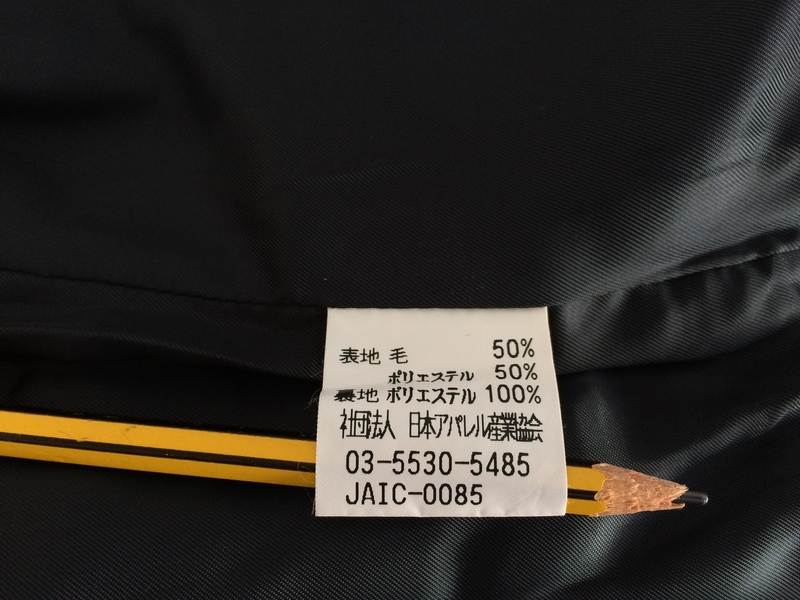 Please check photos for item description and condition. 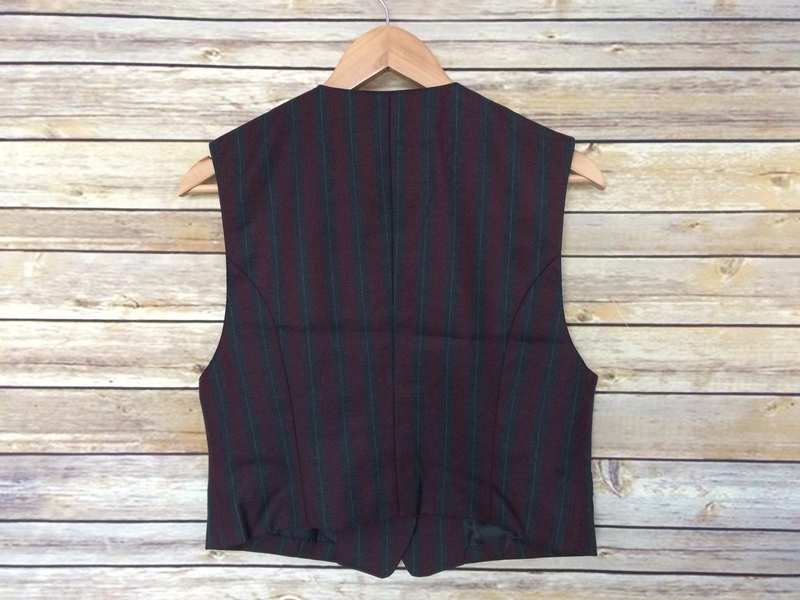 From shoulder to shoulder 38cm - 14.9"
From armpit to armpit: 44cm - 17.3"
Total length: 52cm - 20.4"